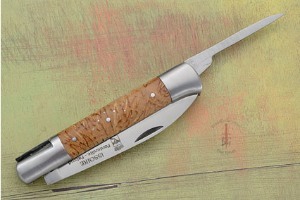 The curly birch scales are accented with fine hand-set stainless pins and brushed stainless steel bolsters. The blade is crafted from 440 stainless steel, hardened to 54Hrc. 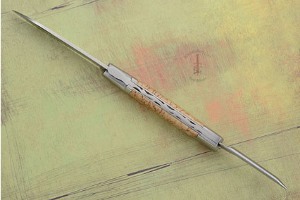 The spring is made from 3mm thick Z20c13 stainless steel. 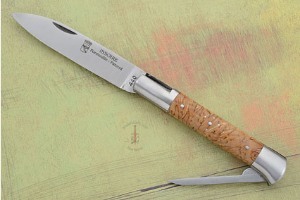 The whole spring is then hand chased with a file – from the tip of the blade to the back bolster. 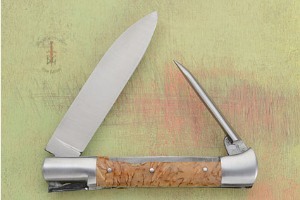 Each knife features hand filework unique to the knife.